I blended on high for about a minute. I love the Vitamix because it gives a super-smooth texture even when I keep the skins in the applesauce. Woo! 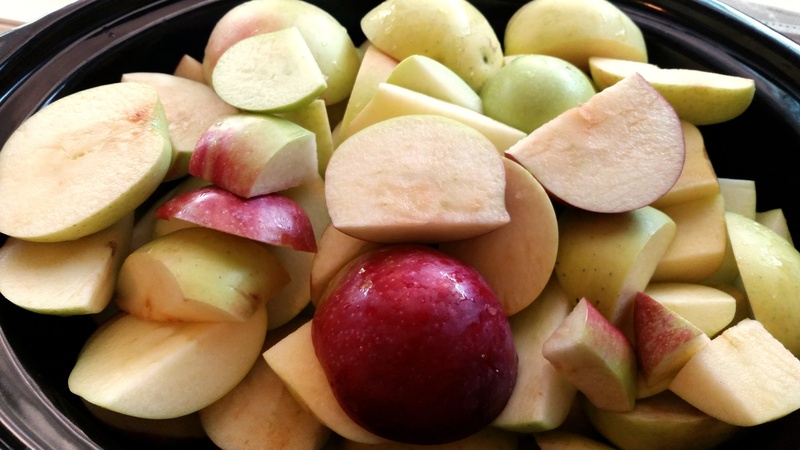 All the fiber and nutrients of eating an apple whole! 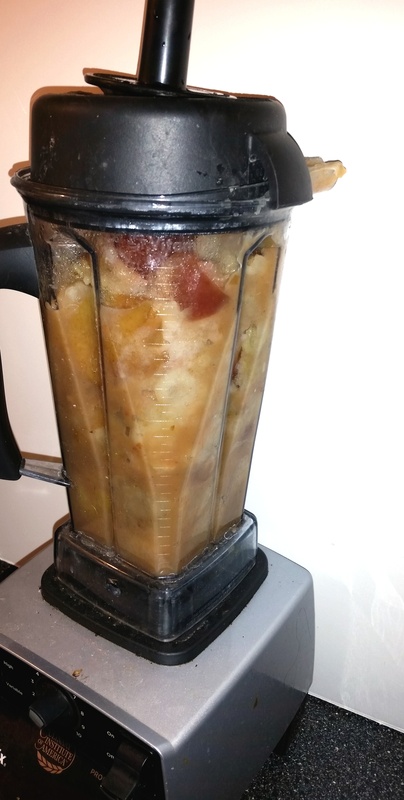 Here’s what it looked like after I blended the apples and put them back in the slow cooker to keep them warm for canning. To can, I followed the instructions in USDA’s Complete Guide to Home Canning and Preserving (2009 Revision) for canning under 5 pounds of pressure.